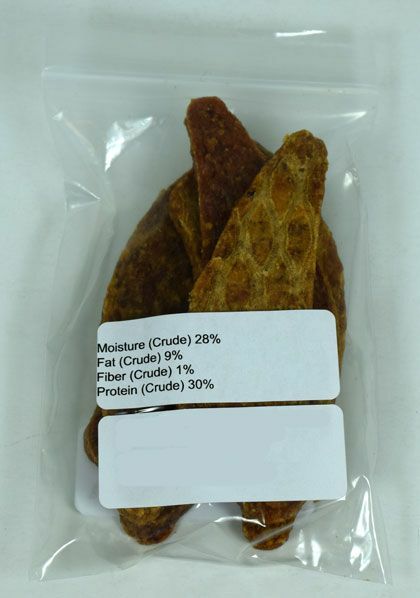 All-natural chicken breast jerky for dogs is here! 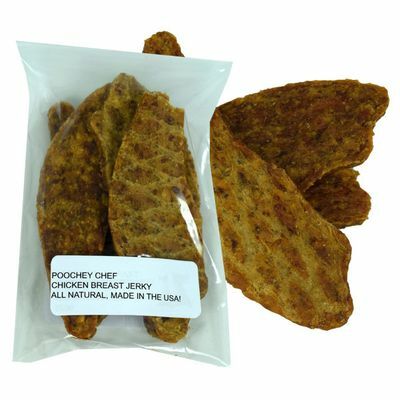 From Poocheychef, our local dog bakery here in town, these chicken snacks will be the perfect treat for your dog. You get five pieces in each bag. This jerky will nicely complement the bulk dog bones we offer in multiple flavors, also from Poocheychef. In fact, we're proud to carry dog and cat treats now, so be sure to check out the rest of our inventory! Browse all our bulk cat treats and dog snacks now!